Place the eggs, mascarpone, salt and pepper in a large bowl and whisk to combine. Melt the butter in a large non-stick frying pan over medium heat. Add the egg mixture and cook, without stirring, for 30 seconds or until beginning to set. Using a wooden spoon, gently scramble the eggs until just cooked. 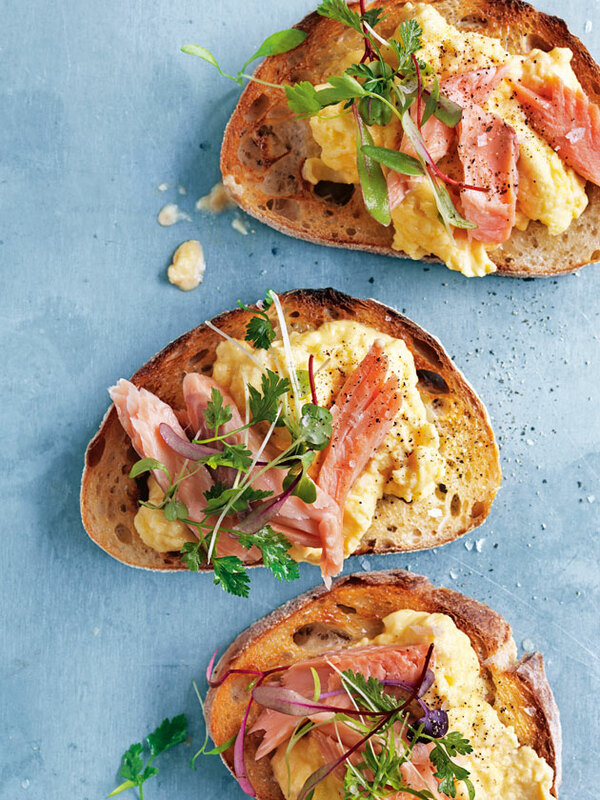 Top each of the toast slices with scrambled eggs, fish and herbs, and sprinkle with salt and pepper to serve. Serves 4.